Flavour profile: A deep roast flavour of baked fruit layers the palate with hints of plum, apricot, peach and honey. These flavours develop on the tongue alongside a sappy delicate mineral quality ending with a smooth sweet finish. A tea of superb character & contrast! Leaf: Nice tightly rolled traditional ball style oolong, with dark brown and green leaves & the odd white tip. The leaves swell when infused, opening into a bud & two leaves and producing a clear deep tangerine-red coloured liquor. Origin: Lugu village & Ming Jian, Nantou County, Taiwan. Background: This exceptional oolong is handmade in a time consuming and skillful method that modern manufacturers often do not take the time to reproduce. The name Hong Shui translates as 'red water' - a result of heavier roasting. This was the traditional way of making Dong Ding Oolong in Taiwan's past, carefully roasting repeatedly until the tea is oxidised to over 40%. The result is a far more complex taste profile and aftertaste that lasts long after each sip. 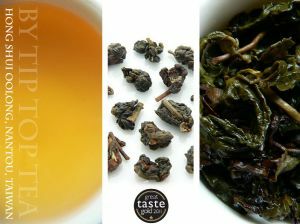 Top quality oolong with a depth of flavour that makes multiple gong-fu style infusions well suited. Brewing guide: 3.5grams per 250ml, brewed at 85C for 2min30s. This equates to about 1 heaped teaspoon per cup. Water should be caught just under the boil and add ⅕ cold water to ⅘ hot water to get the approx temperature. 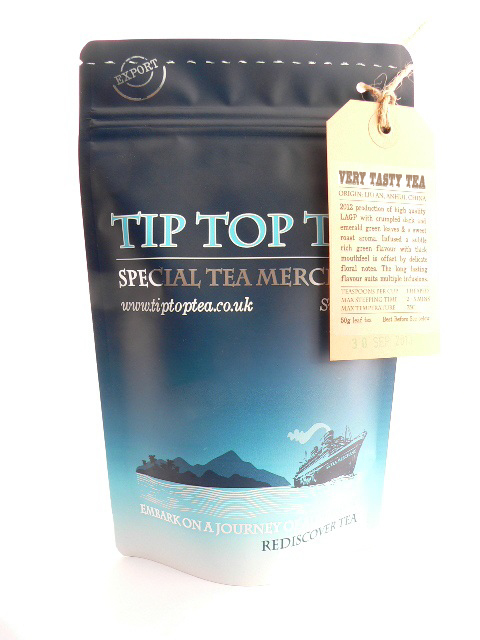 This tea is more suited however to Gong-fu steeping, using 4-5grams per 150ml, repeatedly steeped for short periods, eg. 1min30s, 1minute, 2minutes, 4minutes. This tea is gorgeous - I think it might be my favourite, although I haven't tasted every Tip Top variety so far! There's depth and complexity in the flavour, yet it's light and not at all bitter. It's great for any time of day.